The inlet side in right side…maintaining 10bar pressure…. And the outlet side having the reduced pressure of 3bar pressure. This is what a PRESSURE REDUCING VALVE CAN DO. 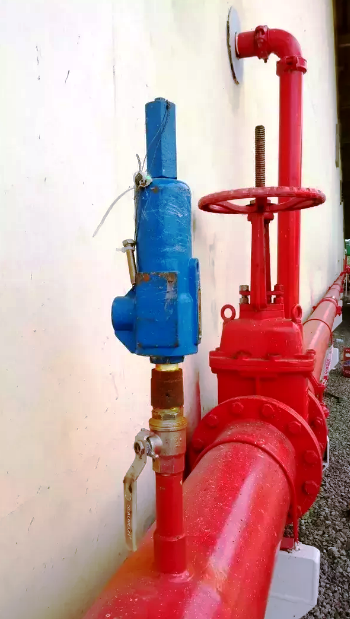 For example this is PRESSURE RELIEF VALVE in a fire protection system…due to day time sun light, vapour developed inside the water line and results in increasing water pressure like above 12bar. The pressure relief valve automatically closes when it achieves its set point. 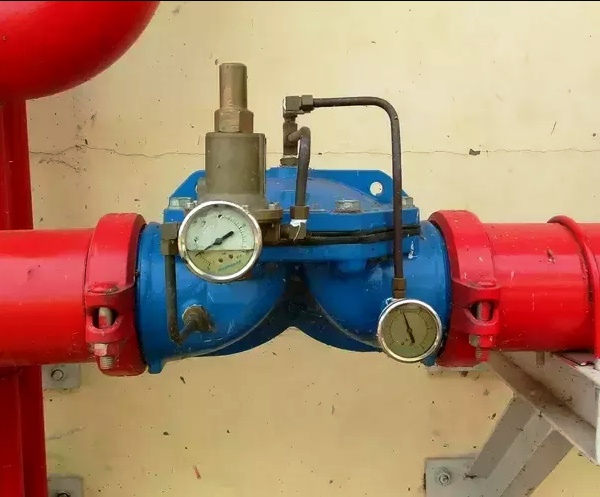 Zoom and view the pressure relief valve part…its just oozing out the water until the setpoint 10bar pressure reached, as pressure inside line reached above 12 bar. I’m quite confused with the term “main relief valve” in NFPA 20. 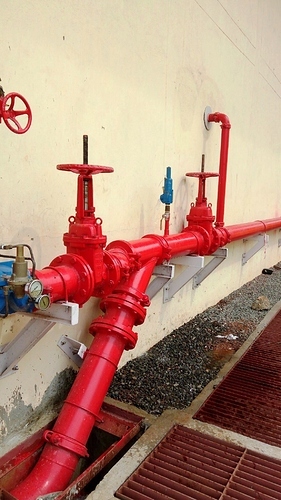 Is it the same with pressure relief valve as in API relief valve or is it the same with pressure reducing valve? 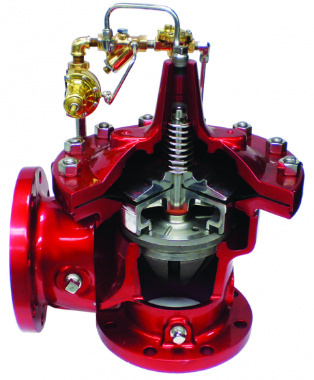 The main relief valve in NFPA 20 is a valve what will relief the pressure when the pressure is too high.